Total Eclipse of the Sun stamp; Art Director/Designer: Antonio Alcalá. 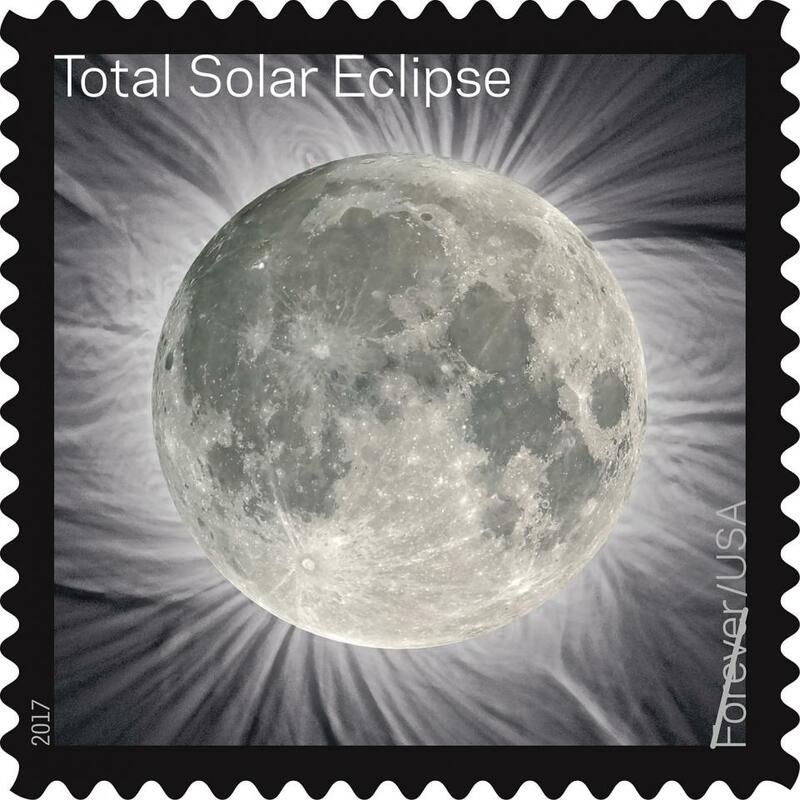 The Total Eclipse of the Sun Forever stamp uses a photograph of a total solar eclipse captured in Jalu, Libya, on March 29, 2006, by Fred Espenak, a retired NASA astrophysicist at the Goddard Space Flight Center and an eclipse expert. Awesome. That describes today’s total solar eclipse, the first to sweep across the United States from coast-to-coast in 99 years. Whether you were in the “path of totality”, where you got to experience daytime darkness, or north or south, where you got a glimpse of the “partial eclipse” with those hard-to-find solar eclipse glasses, it was an event that brought millions of people together. 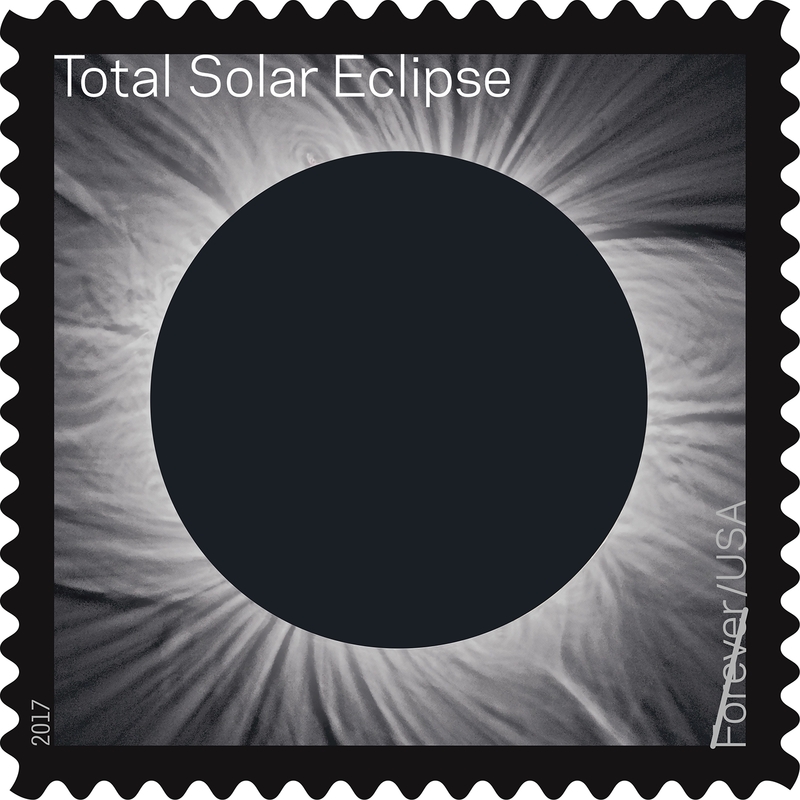 The Total Eclipse of the Sun stamp (above), issued by the United States Postal Service on June 20, 2017, is the first U.S. stamp to use thermochromic ink, which reacts to the heat of your touch. Placing your finger over the black disc on the stamp causes the ink to change from black to clear to reveal an underlying image of the moon (below). The image reverts back to the black disc once it cools. Pretty cool! 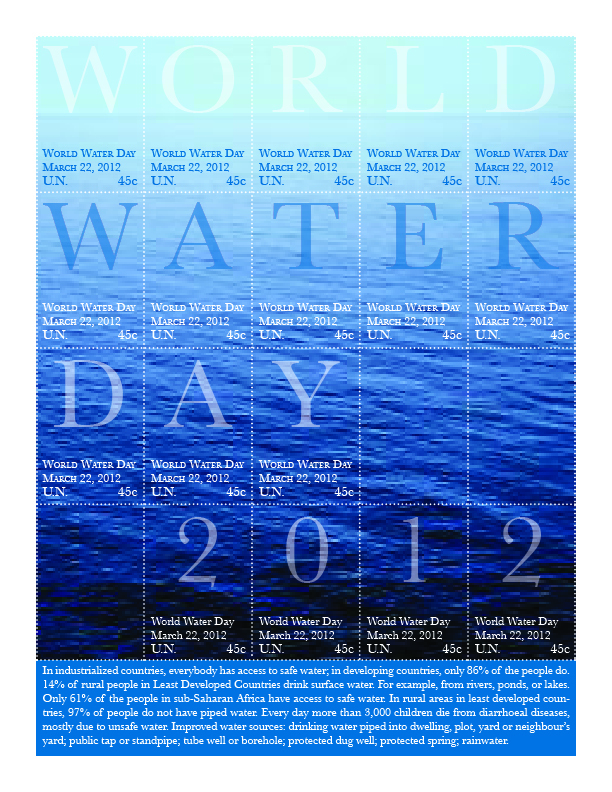 Here’s a stamp sheet design I recently proposed to the United Nations Postal Administration. You can see more of my philatelic design under the portfolio menu at the top of this page.